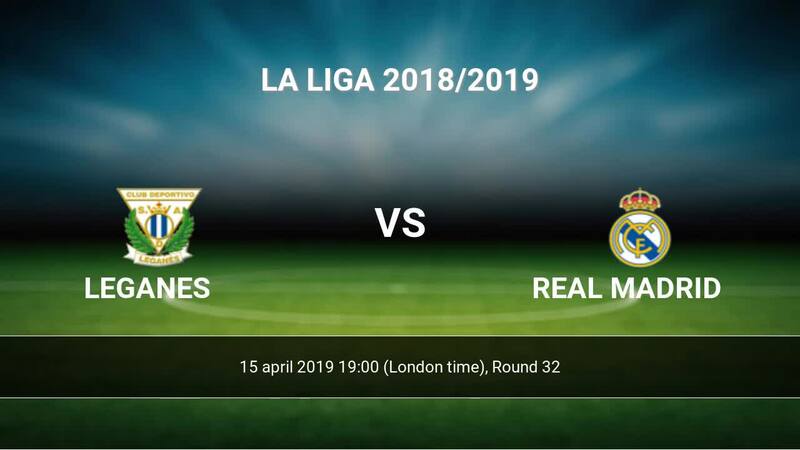 Kick off Leganes-Real Madrid in La Liga on today 19:00. Referee in the match will be David Medie. Team Leganes is located in the middle of the table. (13 place). Last 5 games (league + cup) finished balance 7 points. From 3 matches no lost a match. In this season games La Liga the most goals scored players: Youssef En-Nesyri 8 goals, Guido Marcelo Carrillo 6 goals, Oscar Rodriguez 3 goals. They will have to be well guarded by defense Real Madrid. Players Youssef En-Nesyri 2 assists, Guido Marcelo Carrillo 1 assists, Oscar Rodriguez 3 assists will have to be very well guarded by defenders Real Madrid, because they have the most assists. Team Real Madrid is at the top place in the table (3 place). In 5 last matches (league + cup) team gain 12 points. The best players Real Madrid in La Liga, who scored the most goals for the club: Karim Benzema 17 goals, Gareth Bale 8 goals, Sergio Ramos 6 goals. Players with the most assists: Karim Benzema 5 assists, Gareth Bale 2 assists, Sergio Ramos 1 assists. Injured players Real Madrid: Thibaut Courtois, Vinicius Junior. Direct matches: Real Madrid won more direct matches. 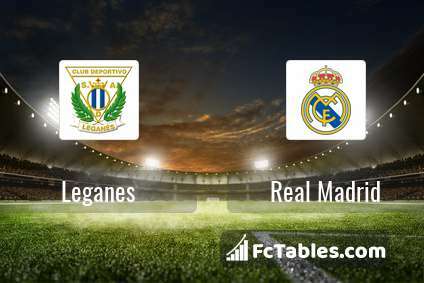 Leganes won 2 matches , Real Madrid won 9 direct matches, was a 0 draws. In 9 matches the sum of the goals both teams was greater than 2.5 (Over 2.5), and 9 matches teams scored more than 1.5 goals (Over 1.5). 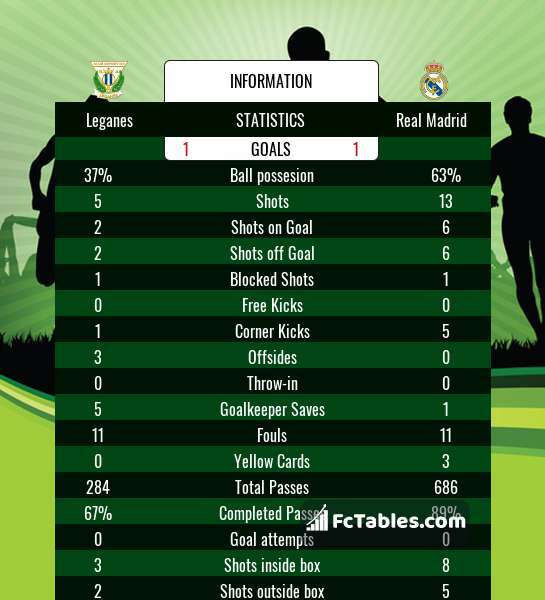 In 7 matches the both teams scored a least one goal (Both teams to score).